Special Order Approximately 2-4 weeks if at stock at manufacturer's warehouse. 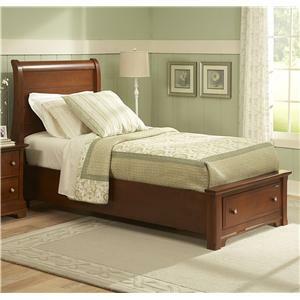 Call store for details 618-233-0667. 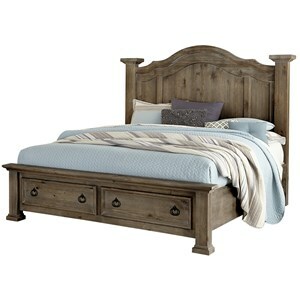 Create a great look for your bedroom while adding useful storage with this bed. 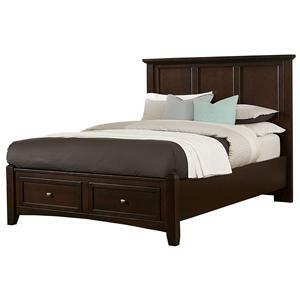 It pairs a slat poster headboard with low storage footboard with two drawers to bring an updated design to any master bedroom. 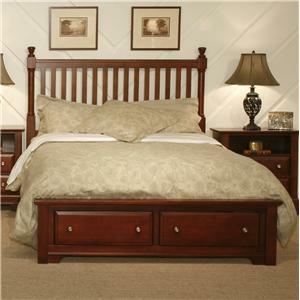 The easy-going cottage style makes a relaxing retreat within your own home. Other Cottage collection finishes available (not shown). 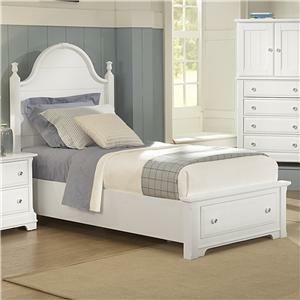 This bed is available in twin, full, queen, and king sizes. 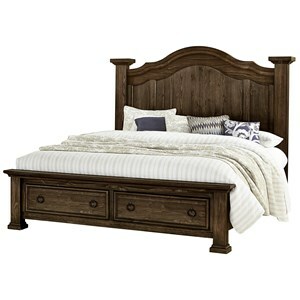 The Cottage King Slat Storage Bed by Vaughan Bassett at Mueller Furniture in the Lake St. Louis, Wentzville, O'Fallon, MO, St.Charles, St.Louis Area, MO Furniture Store and Belleville, Shiloh, O'Fallon,IL area. Product availability may vary. Contact us for the most current availability on this product. 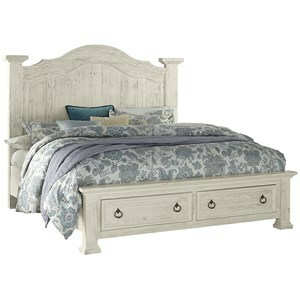 BB19-066B Storage Footboard - 2 drawers, 6/6 1 82" 22" 17"
The Cottage collection is a great option if you are looking for Cottage furniture in the Lake St. Louis, Wentzville, O'Fallon, MO, St.Charles, St.Louis Area, MO Furniture Store and Belleville, Shiloh, O'Fallon,IL area. Browse other items in the Cottage collection from Mueller Furniture in the Lake St. Louis, Wentzville, O'Fallon, MO, St.Charles, St.Louis Area, MO Furniture Store and Belleville, Shiloh, O'Fallon,IL area.